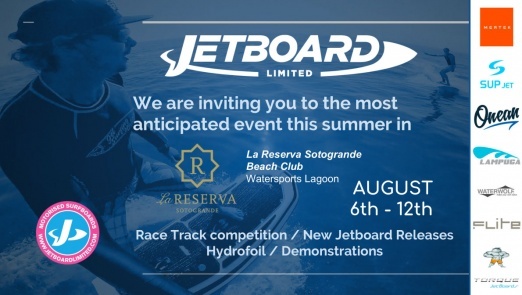 Jetboard Limited is inviting to the first Electric Surfboard Festival and Torque Jetboard Race in Spain from August 6th to 12th. 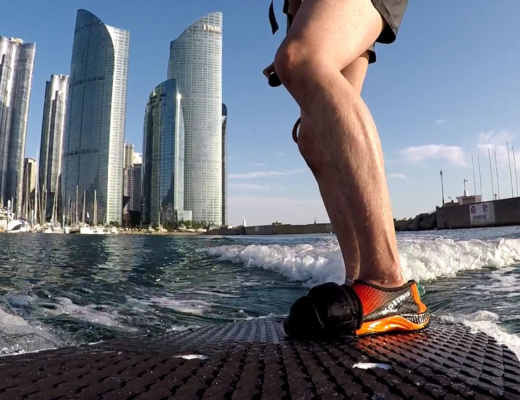 The JBL team around Wayne Brooks brought manufacturers like Fliteboard, Torque, Lampuga, Onean and more from all over the world together to test and buy the different electric surfboards. Another highlight is the first GPS enabled Torque Jetboard Race ever in Europe. Only a few days to go until you can meet the manufacturers mentioned above and also the teams from Jetsurfingnation and of course E-Surfer. We all will meet at a lovely place called La Reserva Beach Club. A private luxury beach club in Sotogrande which is between Marbella and Gibraltar in the very south of Europe. 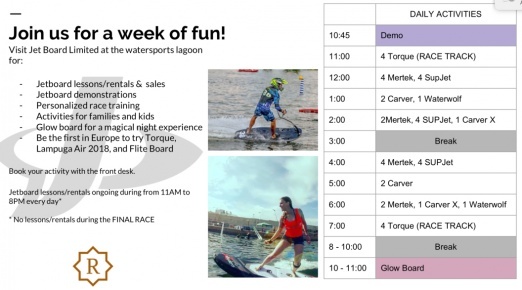 You can book Torque jetboard training lessons every day in order to qualify for the Torque Jetboard Race on Sunday August 12th. A professional trainer will give you 45 minutes advice followed by 3 rounds on the track. The fastest track will qualify for the race. You can come back the following days for more practise on the track without the 45 minutes intro. Riders need to be 13 years or older. The first training lesson is 150 EUR and the following practise rounds (3 laps) are 50 EUR each. The 8 riders with the best times will participate in the race, which has 1 warm up lap and 2 laps which count. The rider with the fastest lap in the race on Sunday will become the 1st European Torque Jetboard Race Champion. 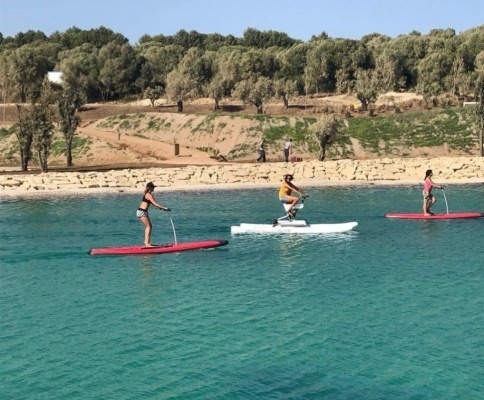 But the first Electric Surfboard Festival is not only about the race. 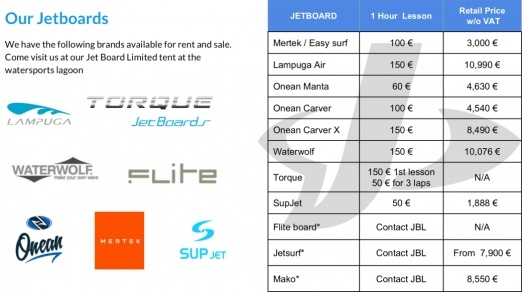 You can try and buy boards from Lampuga, Flite, Torque, Mertek (formerly eSurf S1), Onean, SUPjet, Mako and Jetsurf. You have actually the chance to be one of the first Europeans to test and see the Fliteboard electric hydrofoil as well as the 2018 Lampuga Air. There will be boards available for beginners, kids as well as intermediate and advanced riders. The event will be a lot of fun and an unique opportunity to see some of the electric surfboards live.